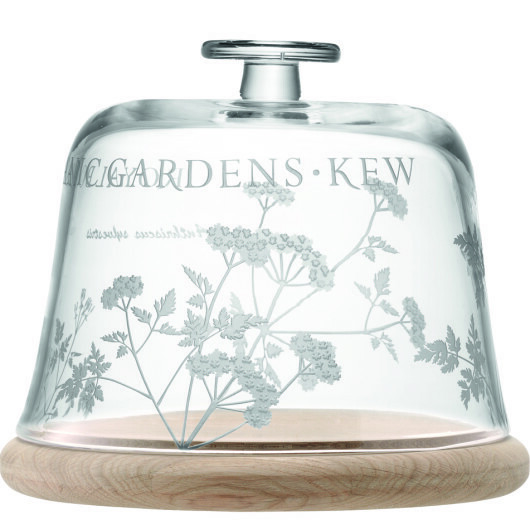 This Kew Heritage Glass dome on oak base from the Royal Botanic Gardens Kew is a real statement piece. 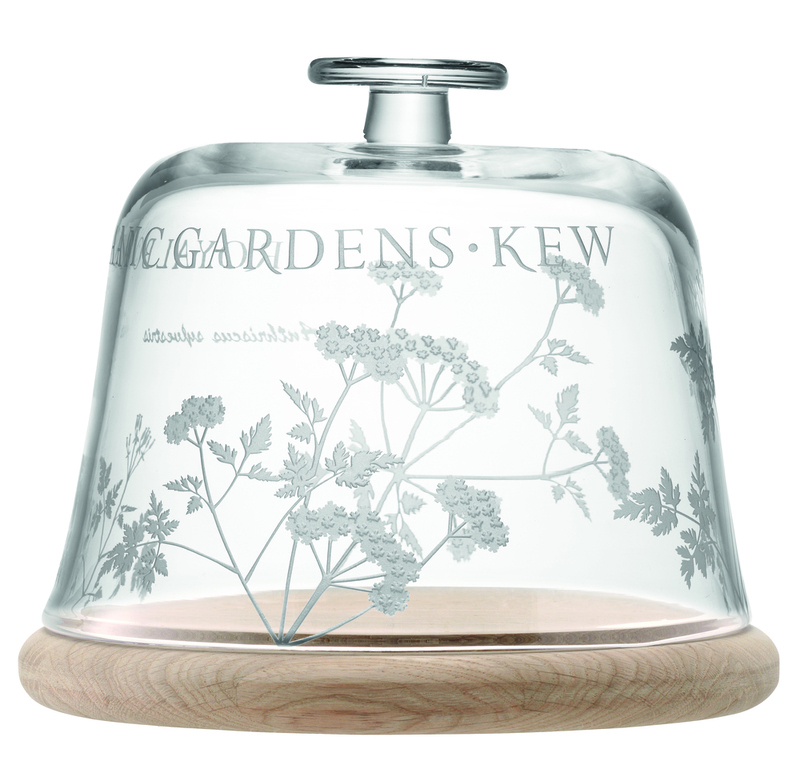 On a base of rich natural oak, the dome is crafted from mouth-blown glass etched with a classic cow parsley design. 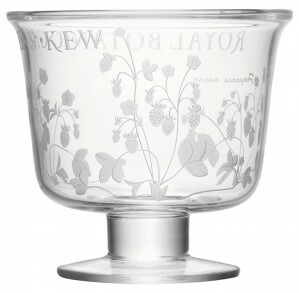 Etched in layers, it includes the plant’s spray of white flowers, fern-shaped leaves and long stems with ‘Royal Botanic Gardens Kew’ etched around the top. 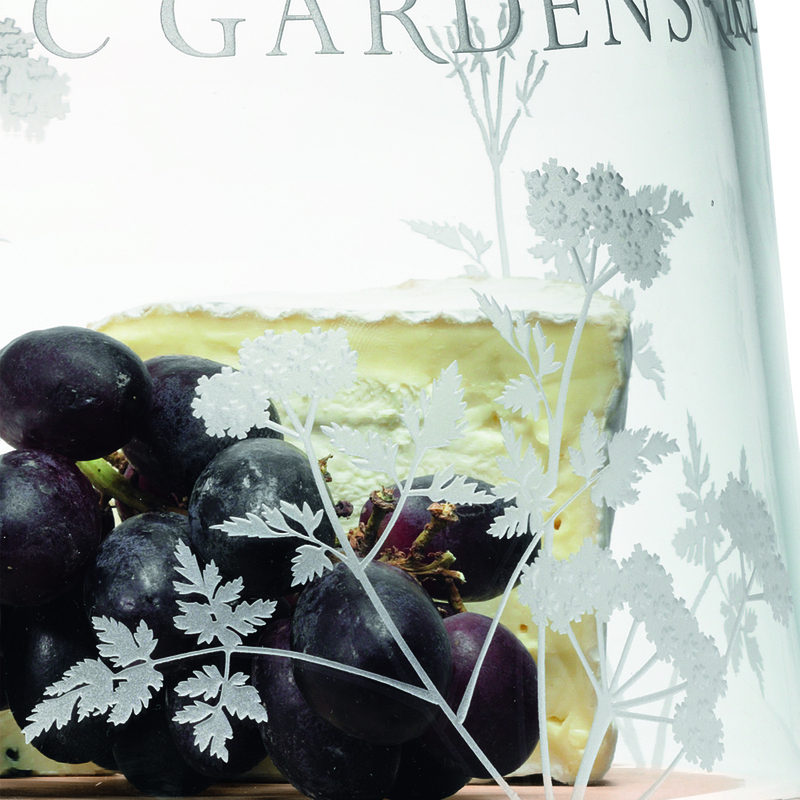 A beautiful way to serve cakes or cheeses in traditional British style. 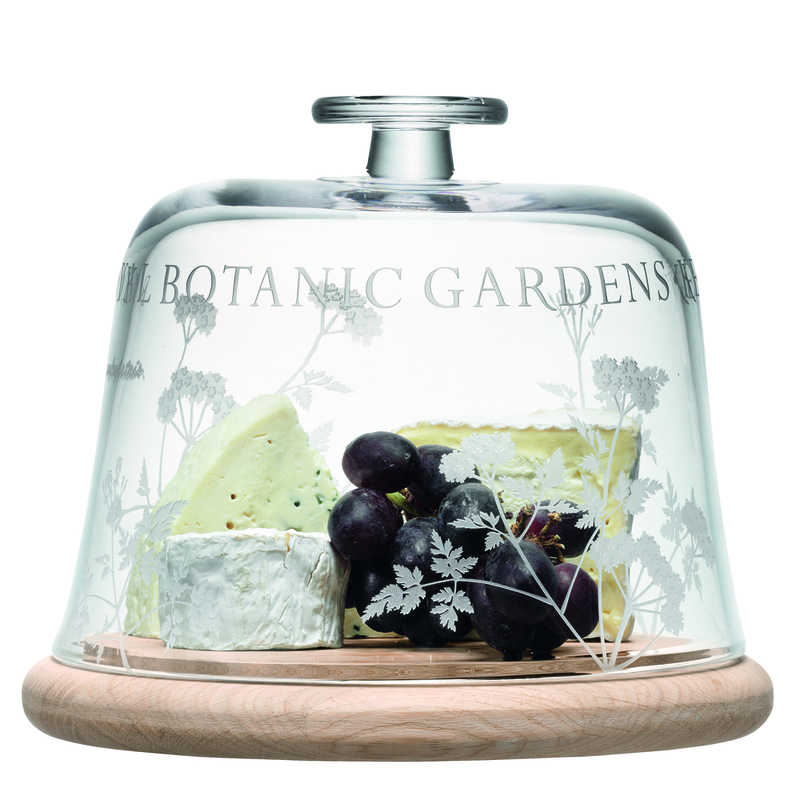 Delivered to you in a beautiful gift box the Kew heritage glass dome on oak base is a piece which will be proudly passed down through the generations.